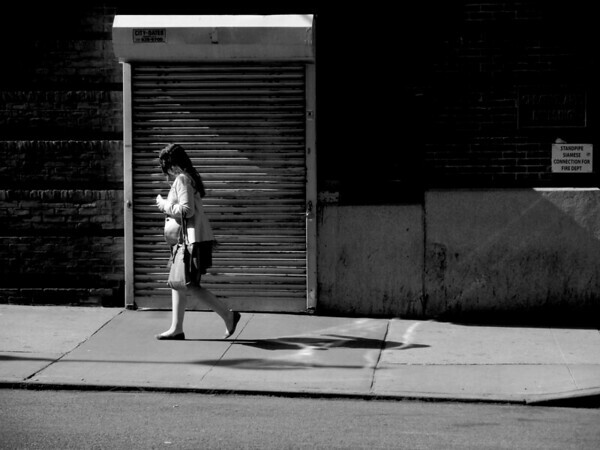 Girl walking - or is she gliding? Hard to tell. This is one of my signature styles ... the hard light of the sun. You can see the Hopper influence here. The contrasts are so amazingly sharp in this work!! It's almost distracting to see the "sun-play" off the sidewalk and the angles of reflection.. love these! !